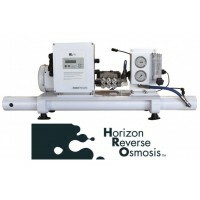 Horizon Reverse Osmosis (HRO) Watermakers	There are 20 products. 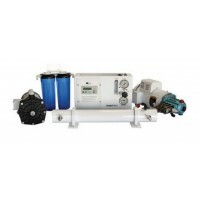 Horizon Reverse Osmosis / HRO Watermakers - Questions on watermakers or what system would work for you? Chat with us below or contact us here! HRO Seafari Versatile (Modular) - Modular setup offers unlimited installation options for limited spaces. A perfect fit for larger, long distance cruisers. 450 Gal (1,703 L)/day. Single membrane. Select: Voltage, Cycles, Phase and Add-Ons. H25M450-1 Check all available accesories and options in the description below! The Seafari Self-Contained complete vibration isolation. Remote access to system controls. 450 Gal/day. 118 Lbs. Self-contained is a perfect fit for larger, long distance cruisers and is available with a variety of output capacities ranging from 19 to 75 gph. Single membrane. Select: Voltage, Cycles, Phase and Add-Ons. H24C450-1 Check all available accesories and options in the description below! The Seafari Versatile 700 GPD Modular is designed for separate system component placement making it ideal for small and mid-size sail and power boats. 700 Gal (2650 L)/day. 125 Lbs. Single Membrane. Select: Voltage, Cycles, Phase and Add-Ons. H25M700-1 Check all available accesories and options in the description below! 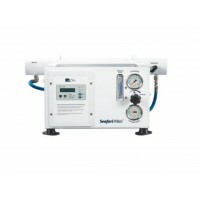 HRO Seafari Versatile - the watermaker for every boater. Complete vibration isolation. Remote access to system controls. 700 Gal. 125 Lbs. Self-contained that allows quick installation. Membrane access from both sides for easy maintenance. Select: Voltage/Cycles/Phase, Add-Ons and Pre-Filtration Options H24C700-1 Check all available accesories and options in the description below! 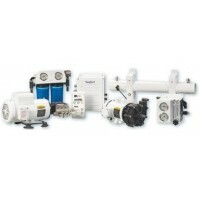 HRO Seafari Versatile (Modular) - Modular setup offers unlimited installation options for limited spaces. It is designed for separate system component placement making it ideal for small and mid-size sail and power boats. 900 Gal. 136 Lbs. Single membrane. Select: Voltage, Cycles, Phase and Add-Ons H25M900-1 Check all available accesories and options in the description below! 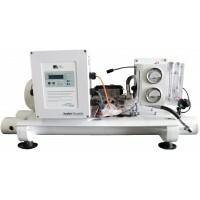 The Seafari Versatile 900 GPD (Self Contained) Single Membrane complete vibration isolation. Remote access to system controls. 900 Gal. 136 Lbs. A streamlined design that allows quick installation. Membrane access from both sides for easy maintenance. Select: Voltage/Cycles/Phase, Add-Ons and Pre-Filtration Options H24C900-1 Check all available accesories and options in the description below! Seafari Versatile 900 GPD (Modular) Dual Membrane is designed for separate system component placement making it ideal for small and mid-size sail and power boats. 900 Gal. 136 Lbs. Dual Membrane. Select: Voltage, Cycles, Phase and Add-Ons H25M900-2 Check all available accesories and options in the description below! 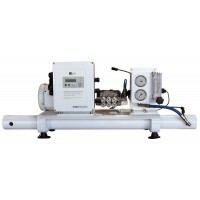 The Seafari Versatile 900 GPD design allows quick installation. A streamlined design that allows quick installation. Membrane access from both sides for easy maintenance. 900 Gal. 136 Lbs. Dual membrane. Select: Voltage/Cycles/Phase, Add-Ons and Pre-Filtration Options H24C900-2 Check all available accesories and options in the description below! Seafari Versatile 1400 GPD (Modular) Dual Membrane is designed for separate system component placement making it ideal for small and mid-size sail and power boats. 1400 Gal (5300 L)/day. 147 Lbs. Select: Voltage, Cycles, Phase and Add-Ons H25M1400-2 Check all available accesories and options in the description below! Seafari Versatile 1400 GPD (Self Contained) Dual Membrane is a streamlined design that allows quick installation. 1400 Gal (5300 L)/day. 147 Lbs. Select: Voltage/Cycles/Phase, Add-Ons and Pre-Filtration Options H24C1400-2 Check all available accesories and options in the description below! Seafari Versatile 1800 GPD (Modular) Dual Membrane is designed for separate system component placement making it ideal for small and mid-size sail and power boats. 1800 Gal/day. 150 Lbs. Select: Voltage, Cycles, Phase and Add-Ons H25M1800-2 Check all available accesories and options in the description below! Seafari Versatile 1800 GPD (Self Contained) Dual Membrane is a streamlined design that allows quick installation. 1800 Gal p/day. 150 Lbs. Select: Voltage/Cycles/Phase, Add-Ons and Pre-Filtration Options H24C1800-2 Check all available accesories and options in the description below!